According to experts, most people lie awake in bed worrying about the tasks they have to complete the next day. One of the easiest ways to help you destress is to make a to-do list. When you write down your upcoming tasks on a notepad, it will help you feel more organized and reassured. 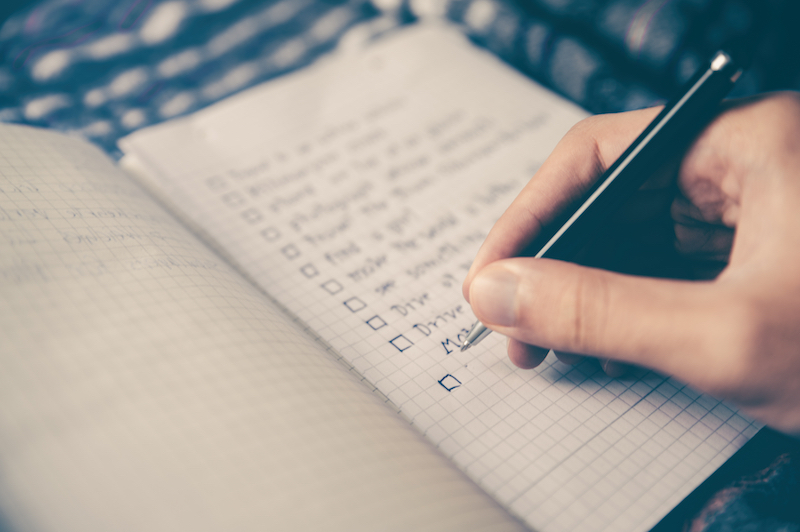 In this way, even if you wake up in the middle of the night to worry about unfinished tasks and responsibilities, you can have faith that your list will remind about everything necessary. After that, you can go right back to sleep. Checking the items on your to-do list of the previous day can also be a great way to feel like you have completed your daily tasks. This can also give you mental peace and help you sleep.